Last weeks meal plan was a complete and utter failure! We ended up being very busy most nights, visiting friends, eating cake and just didn't do much cooking at all. The night I did cook was a complete failure of porridge-y proportions! I am not ashamed to admit that the culinary disaster may have put me off cooking for a few days. 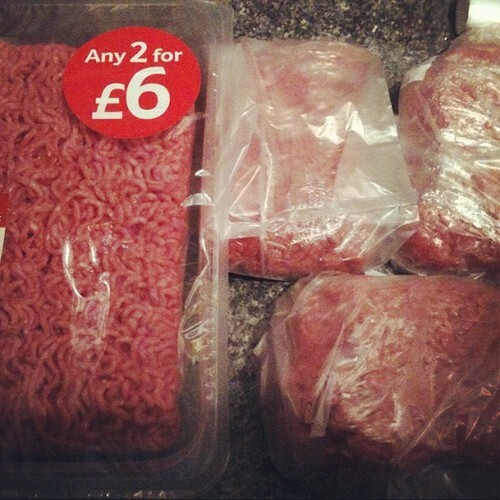 I saw that 900g of lean beef mince was on special at 2 for £6. As there are only two of us 900g of mince is far too much for one meal, so I split each packet of mince into three and wrapped them in clingfilm and freezer bags. So for £6 we got 6 meals worth of mince! 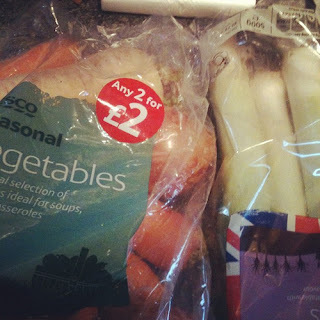 I usually buy pre chopped root veg for use in stews, they are normally £1.50 bag which I would put into one stew, but for the sake of convenience I never really thought of the price. I decided to chop these into cubes and freeze in stew sized portions. I actually timed how long it took to chop it all and it only took 22 minutes! Go me! 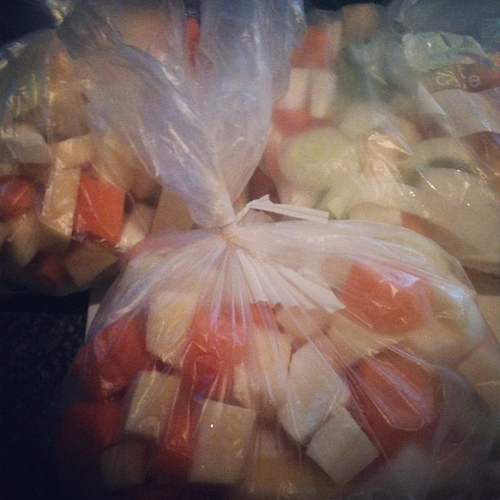 So for £2 I got four big bags of stew veg ready to just pop in the slow cooker! Wednesday Chicken Kievs and boiled potatoes. Thursday Chilli and brown rice. So this is another free week! 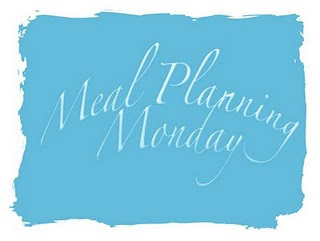 This is actually my 4th week meal planning so if you add up all the money spent on food shopping this month it comes to a total of just under £100 - Which is £25 per week! I am not pretending that we didn't have to odd fish a chips here and there, and that we didn't have to pop out for cat food or toilet roll mid week, so the number is probably more like £150 for the month, but still! My goal is to stay below £200 so it is still a HUGE tick in the win column. What are your frugal tips and tricks for keeping your grocery bills low? I pretty much don't eat meat to keep costs low. I don't eat cows sheeps or pigs anyway so that cuts out a lot of cost, but I also rarely have chicken since quality (ie not caged) chicken costs quite a lot. I make sure I get my protein from nuts, beans and veggies. Being (almost) a vegetarian is very cost effective! I would happily be a veggie and even go dairy free if I lived on my own. I was a financial veggie at uni and rarely ate meat. So much cheaper! We freeze portions of meat (and fish) too, esp. when there's a 3 packs for £10. Pork shoulder steaks are my favourite cause they are so versatile. Sometimes you can get them in a pack with 4 - 6 pieces. Freeze two pieces as they come, then process another two into mince and finally dice the rest for stews. This was you can have a variety. Same goes for braising beef steaks.